Want to maintain a more active role in your 529 investments? 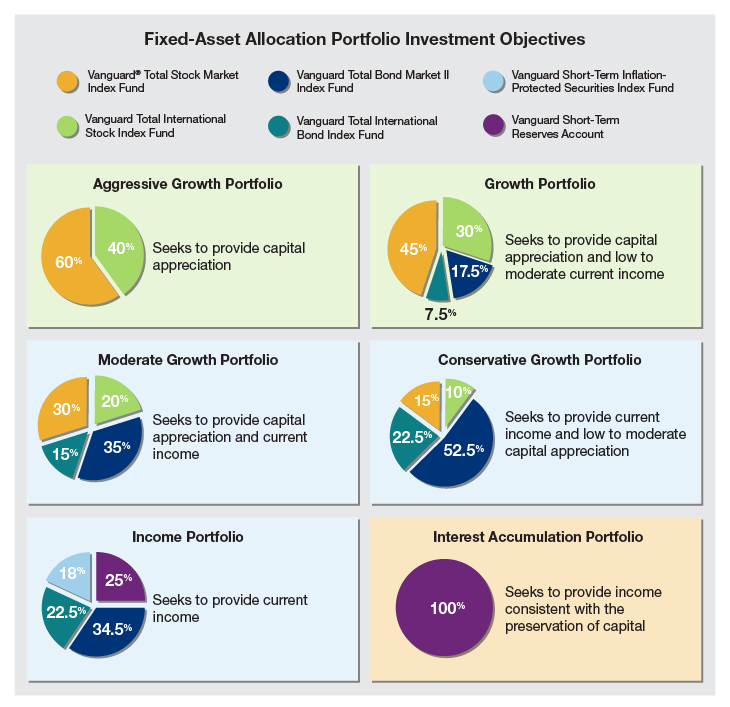 IDeal's six Fixed Asset Allocation Portfolios below span a range of investment styles. These options let you create the type of investment that meets your specific investment goals and risk tolerance. The asset allocation of each portfolio will remain the same until you decide to change portfolios. Note: You could lose money by investing in a portfolio which includes the Vanguard Short-Term Reserves Account which in turn invests in the Vanguard Federal Money Market Fund. Although the money market fund in which your investment option invests (the “underlying fund”) seeks to preserve its value at $1.00 per share, the underlying fund cannot guarantee it will do so. An investment in this investment option is not insured or guaranteed by the Federal Deposit Insurance Corporation or any other government agency. The underlying fund’s sponsor has no legal obligation to provide financial support to the underlying fund, and you should not expect that the sponsor will provide financial support to the underlying fund at any time. You have to make a lot of investment decisions. IDeal has both a "set it and forget it" age-based option and individual portfolios that allow you to create your own strategy. Ascensus Broker Dealer Services is the distributor of IDeal - Idaho College Savings Program. Learn more about Ascensus Broker Dealer Services, LLC on FINRA's BrokerCheck.  By clicking on one of the social media icons, you are leaving the IDeal website, maintained by Ascensus, and are being redirected to a social media site solely maintained by the Idaho College Savings Program Board (“Board”). Ascensus Broker Dealer Services, LLC, the program manager for IDeal, does not monitor or endorse the Board's social media activities. All IDeal social media activities are the sole responsibility of the Board. Mr. Thiros is a registered representative of Ascensus Broker Dealer Services LLC, 877-529-2980, 95 Wells Ave, Newton MA (member FINRA/SIPC) and is not employed by the State of Idaho. For more information about IDeal - Idaho College Savings Program ("IDeal"), call 866-433-2533 click here to obtain a Disclosure Statement. The Disclosure Statement discusses investment objectives, risks, charges, expenses, and other important information. Because investing in IDeal is an important decision for you and your family, you should read and consider the Disclosure Statement carefully before investing. IDeal is administered by the Idaho College Savings Program Board ("Board"). ABD, the program manager, and its affiliates, have overall responsibility for the day-to-day operations, including investment advisory, recordkeeping and administrative services, and marketing. The Vanguard Group, Inc. ("Vanguard") serves as Investment Manager for IDeal. Sallie Mae Bank serves as the Savings Portfolio Manager for IDeal. IDeal's Portfolios invest in either: (i) mutual funds offered or managed by Vanguard; or (ii) an FDIC-insured omnibus savings account held in trust by the Board at Sallie Mae Bank. Except for the Savings Portfolio, investments in IDeal are not insured by the FDIC. Units of the Portfolios are municipal securities and the value of units will vary with market conditions. Investment returns will vary depending upon the performance of the Portfolios you choose. Except to the extent of FDIC insurance available for the Savings Portfolio, you could lose all or a portion of your money by investing in IDeal, depending on market conditions. Account Owners assume all investment risks as well as responsibility for any federal and state tax consequences. ©2018 State of Idaho and Ascensus. All Rights Reserved.